Japanese artist Isao Hashimoto has created a beautiful, undeniably scary time-lapse map of the 2053 nuclear explosions which have taken place between 1945 and 1998. Hurricane Irene she was devious and beautiful. 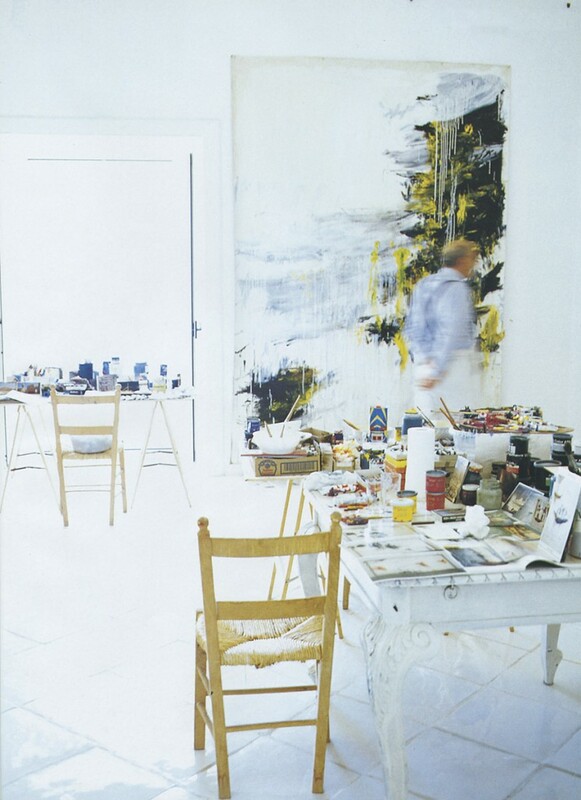 Cy Twombly always in motion. This is how I’ve always thought of Twombly. In motion —himself a scribble and a scratch. The photo is from Vogue. Thanks to @Heather Guidice for sharing. I’ve always wanted to go ballooning and this has inspired me again. Lorraine Mondial Air Ballons®, largest gathering of balloons in the world. Enjoy the video and check out the festival website. With 343 balloons taking off simultaneously the world record was beaten! Lorraine Mondial Air Balloon World Record the “GREAT LINE” (in-line mass ascent) record was beaten on Wednesday in Chambley Planet’Air (Meurthe-et-Moselle – Lorraine) during the 12th edition of the World Lorraine air Balloons with 343 balloons distributed on three lines. The previous record achieved on the same site in 2009 was 329 balloons. just because you don’t know what work is. THINK BIG: 500 liters of paint. Don’t you want to do this in your neighborhood? I want to do it in a pedestrian space. Your Hands Upon The Wheel. Gonna Have A Real Good-Time. Who Like To Go Down Slow. Let It Roll, Baby, Roll. Let It Roll, All Night Long. Do It, Robby, Do It! You Gotta Thrill My Soul, Alright. And I Got Myself A Beer. And The End Is Always Near.